Corporate and church retreats, family or class reunions, Tiger Creek Lodge can accommodate almost any group and make your special event something really special. Some of the featured facilities include two large outdoor pavilions, which can hold 160 guests in one pavilion and up to 250 in the other. In the pavilions is a large assortment of cooking amenities including commercial grills and smokers, fish fryers, ice chests, cypress tables, chairs and a massive fire pit. Our staff will cook for your special event and supply your group with drinks and anything else you may desire. Get away and indulge yourself. Group Rates & Events: Make your special event a vacation and plan to stay with us at the lodge. 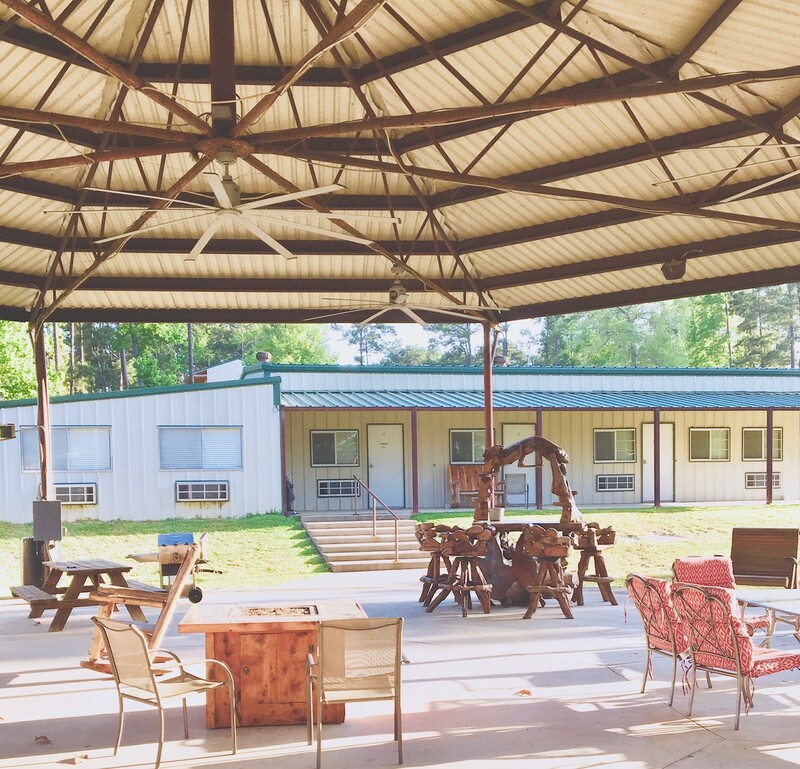 Tiger Creek Lodge has overnight accommodations for up to 29 guests in a variety of room layouts and bed sizes. Family-sized cabins are also available. Planning Your Big Day: Say "I do" at the beautiful and rustic Tiger Creek Lodge. 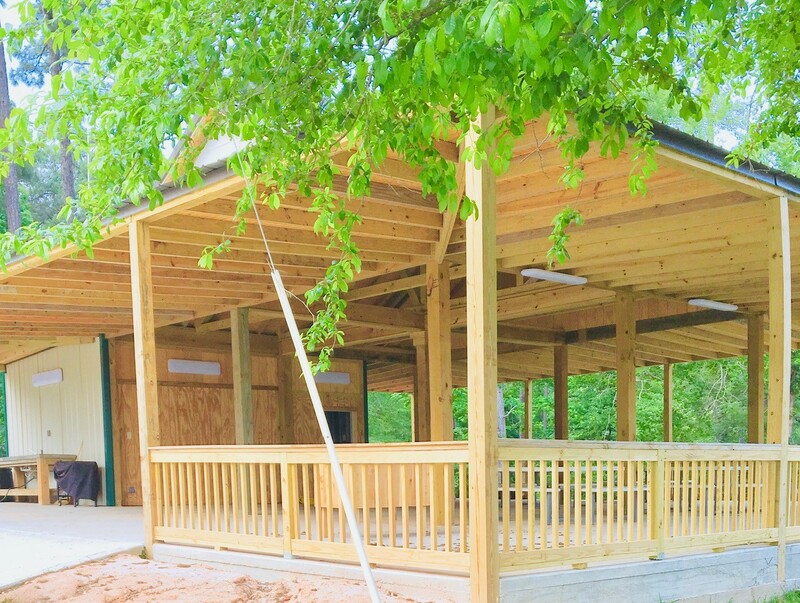 With a newly constructed pavilion and beautiful view, Tiger Creek Lodge can help ensure your event is perfect - including coordination, catering, and bar services. Fishing Events: Tiger Creek Lodge is proud to host fishing tournaments and weigh-ins with state of the art weigh-in scales. Fishing for fun? When it comes to planning the perfect fishing trip, we have everything you need - a designated fish cleaning station and tools. Call today for more information on booking your trip. Book your wedding, family trip, fishing tournament / weigh-in, and corporate events at Tiger Creek Lodge today.